REI is offering a live sound course! 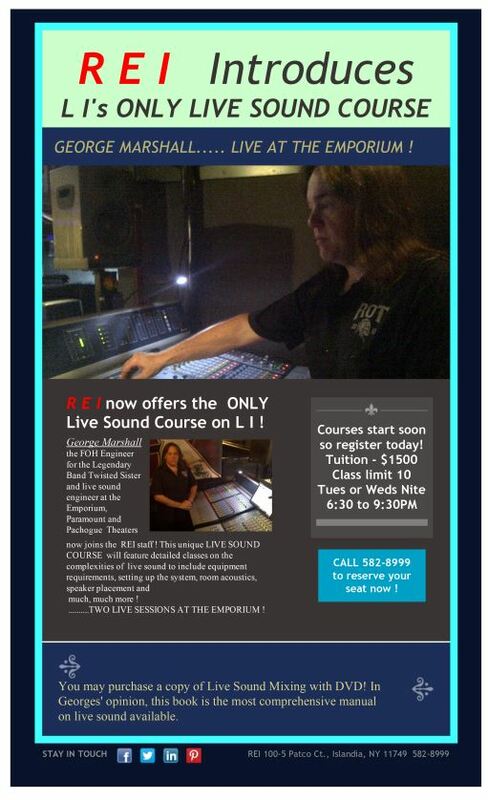 Taught by industry professional George Marshall, who has worked with the legendary band Twisted Sister and manages live sound at Patchogue’s Emporium, the course starts soon, so register today! 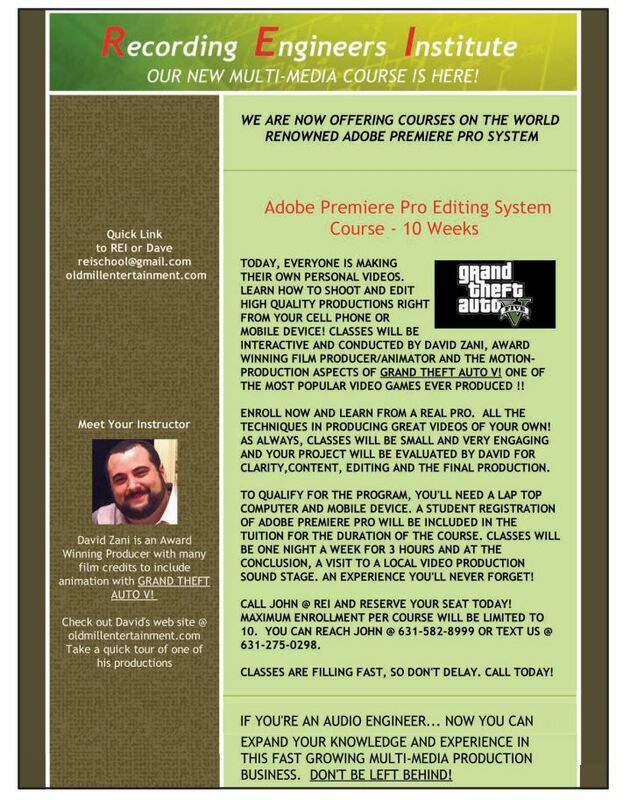 REI is adding a new Adobe Premiere Editing Course to our repertoire. Enroll now and learn from David Zani, an award-winning producer with many film credits, including animation with Grand Theft Auto V!